We’ve really enjoyed watching the progress of the cover of The Lilies of Dawn, as the artist @Likhain has been posting work in progress pictures. We think it is gorgeous. 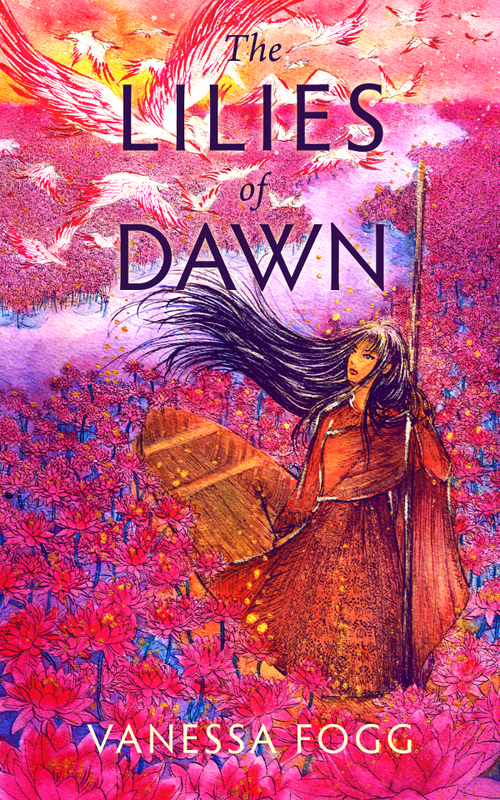 The Lilies of Dawn, a fantasy novelette by Vanessa Fogg, set in a fictional village whose very existence is threatened by an annual visit from a flock of mysterious cranes, will be out July 27. You’ll be able to pre-order it mid-July (watch for the announcement)… and if you’re interested in being an advance reviewer, you can get your hands on an ebook copy now: sign up here.